A 3D printer that is ready to go out of the box, with apparently great print quality. The A4 looks like it is probably a good option for schools. However, the print volume is rather small, and it does not have automatic bed levelling. One nice design feature of the A4, is that the print head is connected with a flexible ribbon cable, which is a good choice for moving parts. Ribbon cables are commonly used in 2D printers in a similar fashion. Amazon is strongly recommended - they have the best customer service, the most careful delivery service and the best return policy. 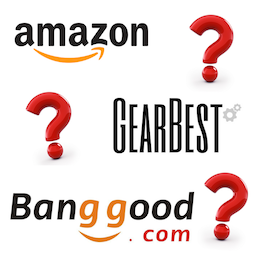 However, the cheapest store is typically GearBest or Banggood, and by paying with PayPal you still have some recourse if things go wrong.